In this blog we cover topics and activities related to research and the Doctor of Arts program in the Department of Media at Aalto University, School of Arts, Design and Architecture. Associate Professor of Music Todd Winkler will give a lecture of his work on Thursday November 3 in Aalto University School of Art and Design. The lecture will take place 15:00-17:00 in lecture room 857 (8th floor). 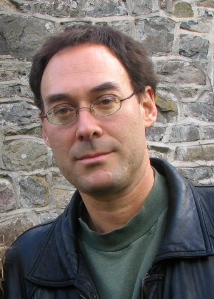 Winkler is a composer and multimedia artist on the faculty at Brown University, where he is Co-Director of Multimedia and Electronic Music Experiments (MEME). Todd Winkler will also be the opponent in Juhani Räisänen’s public dissertation defence on Friday November 4, 2011, 12:00 in School of Art and Design. This entry was posted in Seminars on September 22, 2011 by Heikki Nuutinen. Arki Group got a software development team from TKK’s Software Development Project (T-76.4115). This team will develop an open source Android application, which allows users to browse and annotate digital media stored on the device, create new media (photos, video, audio) and send the files and metadata to a web server. If you think this this kind of application could be useful in your project or you have any other interest in this kind of application, please don’t hesitate to contact me ASAP: You may have some useful suggestions to the functionality. The requirement specification is in a GoogleDoc, I’ll share it with you if you are interested in it. I’ll be in TaiK at least on Monday (9:30-12) if you want to discuss with me about the application, and e-mail will reach me every weekday. The kickoff meeting with the team will be on Thu 22.9. evening. PS. at least the Arki group’s Urban Mediator and FamilyFeed are potential users for this application. The Internet is full of social media sites (Google Plus, Facebook, Twitter etc.) which allow their customers to post digital media, status updates and other stuff to their cloud servers. The problems is here: users cannot be absolutely sure who really can access their data after it is sent to the cloud. One solution could be a simple, private web server for limited number of users (e.g. for a family, a group of friends, a class of school kids etc). Group members can securely send and share data using this private web server, which can be located on an ordinary computer at home (e.g. PC, Mac), physical server in some server room, virtual server in the could or whatever). The server needs mobile clients and at this point your Software Development group joins the game. 2. A group of friends go to country side for a weekend by car. They share their location with this app, use “status messages” to coordinate coffee breaks and post photos/videos to create collaborative diary of the trip. 3. A class of school kids have a nature walk in Nuuksio. They are divided in several groups which all have one Android device equipped with a good camera. App records their GPS track, they take photos of nature objects and write notes. Later in the school all data is transferred to the server. Teacher can export it in various formats to show it in Google Earth or other visualization application. 4. A local neighborhood community is interested in documenting traffic safety issues in their neighborhood. They want to take pictures and record noise samples of traffic noise. They might want the data to be available on a custom application (e.g. the Urban Mediator) or Google maps. They also want to be able to analyse and edit the data before presenting it to the city authorities. Development environment is Android-SDK, programming language is Java. The group members should know Java programming and basic Android programming skills would be a great boost. Topic’s difficulty level is from easy to moderate. The results are published under open source license MIT and signing an NDA is not required. The ARKI is a multidisciplinary research group that is part of the Media Lab Helsinki at the Aalto University’s School of Art and Design. The focus of Arki is in the co-evolution of digital technology and the practices of everyday life with a design perspective. Our work draws on experiences and practices of collaboration, participation and open modes of design and production. Contact person in ARKI is Aapo Rista, a software developer who is focused on server side development. He has 0.5-1.0 days per week to use with this project. Software Development Group members should have at least a few Android phones themselves. This entry was posted in Seminars on September 16, 2011 by Heikki Nuutinen. The newly appointed director of the world-renowned MIT Media Lab, Joi Ito, paid a flying visit to Aalto TaiK’s Media Lab on Wednesday 14th September. 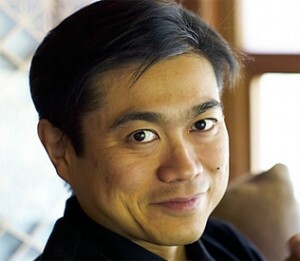 Joi Ito has been a leading light in the movement for openness and de-restrictions in intellectual property. He was recently listed by Businessweek as ‘one of the 25 most influential people on the web’. Amongst his many ongoing responsibilities he is chairman of the Creative Commons organization. During the 90 minute visit, hosted by Media Department and AMF director Prof. Philip Dean and Prof. Teemu Leinonen, Joi met with staff and students of the unit. Discussions were held towards increasing strategic collaboration between the two Media Labs in areas of shared research interest, especially in research related to open data and its exploitation within new services for citizens. It was agreed that a team from Aalto’s Media Lab will travel to MIT to continue the discussions on collaboration later this academic year. Joi was also very happy to hear that the Aalto Media Factory in its new premises on the Arabianranta campus will be opening its own Fab Lab this year, a digital fabrication facility and member of the global network of fab labs coordinated by MIT’s Center for Bits and Atoms. Marko Ahtisaari attended the meeting on behalf of Nokia and the discussions also resulted in an idea to join forces within some of the events planned by Nokia within the World Design Capital 2012 program. Leora Farber holds an M.A Fine Art from the University of the Witwatersrand. She is currently the Director of the University of Johannesburg’s, Faculty of Art Design and Architecture Research Centre titled ‘Visual Identities in Art and Design’. She has published articles in numerous academic journals and has been the recipient of numerous funding awards. Farber has been exhibiting her artwork nationally and internationally since 1993. Her works are housed in numerous South African public and private collections. In her presentation, Negotiations: exploring interrelationships between data, research and art in the exhibition, Dis-Location/Re-Location, she explores how her artwork is produced through the creative processing of data through multiple media. Siri Senje holds an Master of Fine Arts degree in Stage Directing from the University of Minnesota and is currently a Research Fellow in Screenwriting at the Norwegian Film School. 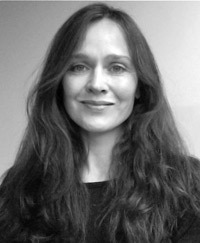 Siri has directed thirtysome theatrical productions for Norway´s repertory theatres and was the head of Norsk Dramatikkfestival; a festival for new, dramatic writing for ten years. She has written for theatre, film and television – most recently A Man Immortal (drama series based on Henrik Ibsen´s early life for Norwegian National TV ) and published books for adolescents. She has also worked extensively as a script consultant and lecturer/teacher of classical dramaturgy. Her presentation, called IMAGINING FOR THE SCREEN, will deal with the Digital Media Essay as a method for documenting an artistic process and presenting artistic research. This entry was posted in Seminars on September 12, 2011 by Heikki Nuutinen. As part of the integration activities, in the Department of Media, the Doctor of Arts Seminar at Media Lab is pleased to offer a general lecture and workshop on the topic of visual and sensory ethnography. Prof. Sarah Pink, from the University of Loughboro in the UK will lead the activities. Dr. Marja Seliger will be the faculty person throughout the course. 5. A basis from which to consider the potentials of the application of the Moving Camera method in design and arts research. Audience: The workshop is targeted to Doctor of Arts students. Students from the Department of Media (Graphic Design, New Media, and Photography) will be given priority. There is a maximum enrolment of 14 students. Students are expected to participate in ALL the activities of the course, including the general lecture and final presentations and discussion. This workshop will explore how the Moving Camera method might be engaged as a way of (audio)visually exploring the environments and experiences of our everyday lives. 1. Introducing ourselves and our research projects and objectives. 3. Presentation of the research task. Before Wednesday’s session participants will be invited to undertake a short research task. This will involve using a camera to explore the experience of an environment, artefact or practice in movement. The next day participants will be asked to present short reflexive narratives to represent and discuss what they have learnt from this research experience, using the images recorded. 4. Discussion of and questions about the research task. Tuesday afternoon: participants undertake the research task independently. Note: There will not be any instruction on technical matters related to photography or video. It is expected that each of the students can independently produce their own audio-visual materials. Students will be responsible for securing access to a server where they can upload their materials in order to show them as part of the workshop activities. Students will also be responsible for also backing up their materials into suitable media such as a memory stick or DVD so that, in the event that there is a problem with the server, they can still be accessed by the faculty in a timely manner for class discussion. If you are a student at Media Lab and you need to make these arrangements, please speak with Mr. Ilpo Kari in the library. In order to receive the credit for participation, you need to be sure that you sign in the attendance sheet every day. Dr. Marja Seliger will be responsible for keeping attendance. In this workshop we will present and discuss the results of the research task produced by participants. As we go along we will seek to develop a series of insights about how doing visual ethnography in movement can offer us routes to knowledge about the environments, ‘things’ and practices that we are seeking to research. The session will conclude with a short presentation and discussion of the potential of such techniques in applied research. Participants will be encouraged to reflect on how such methods might inform the making of interventions in design and arts contexts. Coover, R. (2008) Outside / Inside: Virtual Panoramas of Independence National Historical Park, available online at http://www.unknownterritories.org/APS.html. > Available now in Arabia Campus Library, ask Sarah Pink file! Ingold, T. (2010b), Footprints through the weather-world: walking, breathing, knowing. Journal of the Royal Anthropological Institute, 16: S121–S139. Irving, A. (2007), Ethnography, art, and death. Journal of the Royal Anthropological Institute, 13: 185–208. Pink, S. (2007) Doing Visual Ethnography: images, media and representation in research London: Sage. Available at Media Lab Library! Pink, S. (2007) ‘Walking with Video’ in Visual Studies 22(3). Pink, S. (2008) ‘An Urban Tour’ in Ethnography, 9(2). This entry was posted in Seminars on September 7, 2011 by Heikki Nuutinen.